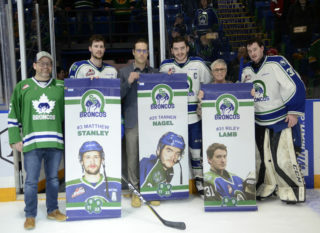 A three-in-three set wrapped up on Sunday afternoon as the Swift Current Broncos welcomed the Red Deer Rebels to the Innovation Credit Union i-Plex on Remembrance Day. St. Louis Blues prospect Joel Hofer earned second star honours after notching 45 saves in a 3-2 overtime loss. 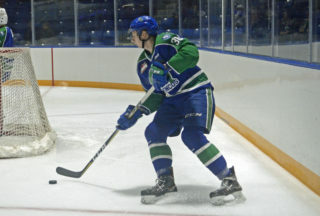 Ben King opened the scoring for Swift Current at the 7:06 mark in the first period. Max Patterson earned an assist on the goal, giving him a team-leading 10 on the season while rear guard Connor Horning tallied the other helper. As fans were filing back into their seats for the second period, it only took a mere 40 seconds for Swift Current to double their margin. Max Patterson scooped up a loose puck in the corner, walked out front and quickly zipped it by Rebels goaltender Byron Fancy to give the home team a 2-0 advantage. The two-goal margin was short-lived when Zak Smith netted his third of the season for Red Deer 47 seconds later to make it a 2-1 score with plenty of time still remaining in the middle frame. 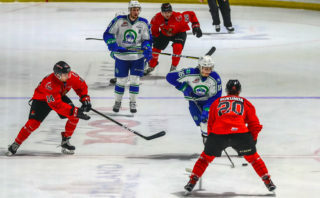 Josh Tarzwell tied it up 26 seconds before the second period expired when he ripped a shot from the slot that went bar down on Broncos netminder Joel Hofer. 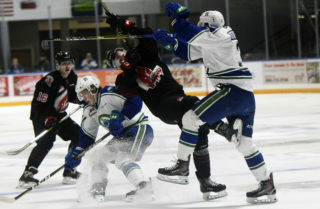 Red Deer positioned Swift Current with a tough fore-check and pressure in their end of the ice throughout the third, creating 16 shots on goal but Hofer was up to the task in stopping every puck sent his way to guide his club to overtime. This was the fourth consecutive home game in which the Broncos went to extra time. Rebels forward Reese Johnson sealed the game winner exactly 1:00 into the overtime frame to send the Broncos to a 3-2 overtime defeat. Shots on goal were 48-17 in favour of Red Deer. The Rebels power play unit went 0/3 while the Broncos finished 0/1 on the scoresheet. 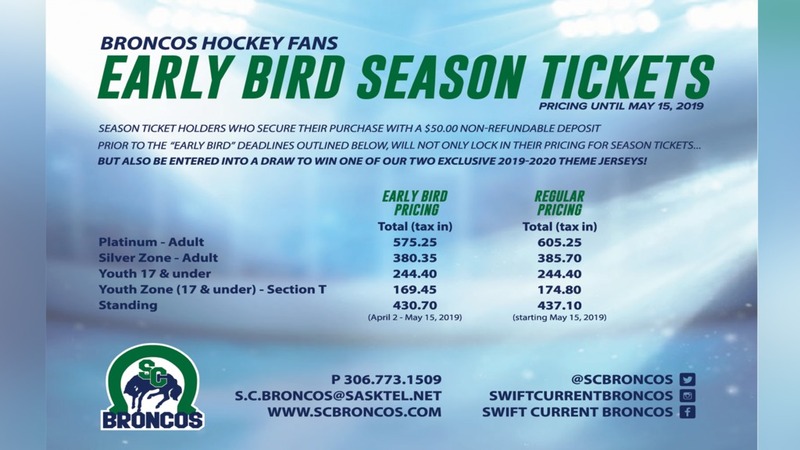 The Broncos will continue their five-game home stand on Wednesday, November 14th when they welcome the Tri-City Americans. Puck drop is set for 7:00pm.